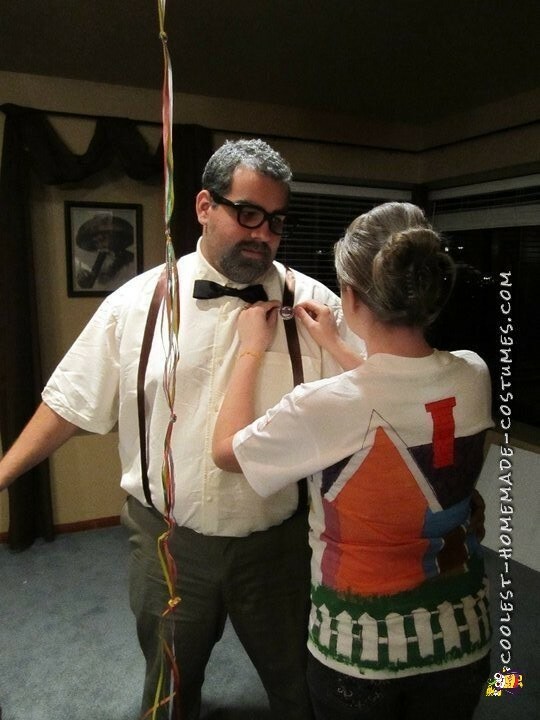 In our homemade costumes, my Wife is wearing the House (Ellie) Costume. 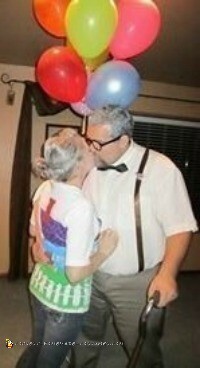 I (Rhett) is wearing the Carl costume. 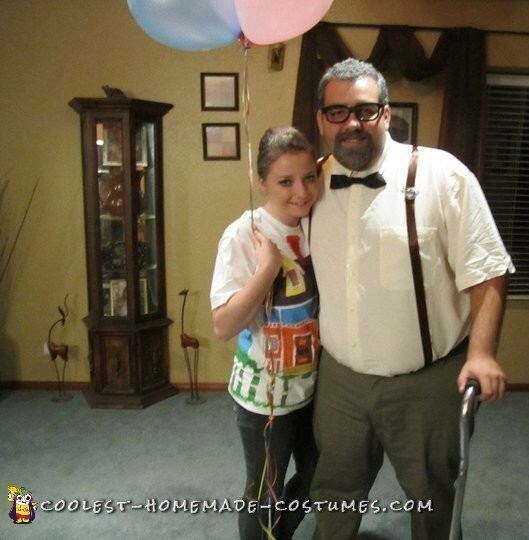 We love the Disney movie up so we wanted to be the loving characters. 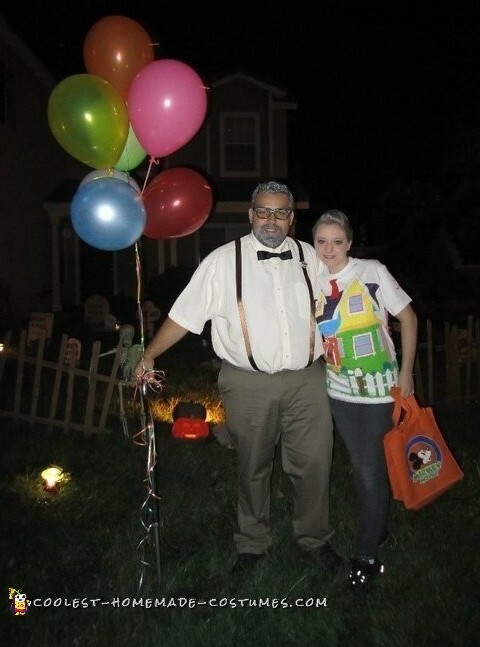 My wife hand painted the shirt to look like the house from Up and held balloons so she could better portray herself as the house. She also made her hair look old so that way she was also the spirit of Ellie always with her husband. I have glasses that we made but poking out the lenses from the 3D glasses you get from the movies. My hair is also died silver. The suspenders are made from ribbon material and we also have a Grape Soda pin attached to them from the movie! We found a cane and cut a tennis ball to fit on the end. 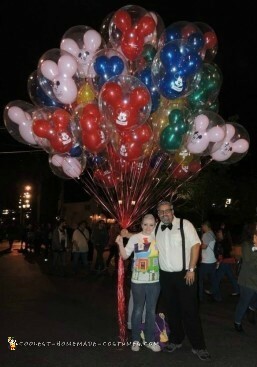 We even took these costumes to Disney Land!! !